The regiment was raised as the "Scots Regiment of Foot Guards" at the restoration of the British monarchy in January 1661. It was initially stationed at Edinburgh and Dunbarton. In 1685, the regiment was transferred to England to repress Monmouth's rebellion. In 1686, it was incorporated into the English Army and increased to 2 battalions. It took garrison in London. In 1688, the regiment was renamed "Scots Guards". In 1712, the regiment was renamed "3rd Regiment of Foot Guards". During the Seven Years' War, the regiment was commanded by:John Leslie, Earl of Rothes. Throughout the War, a battalion was stationed around London and Windsor. In May 1758, the 1st battalion was sent to the Isle of Wight in preparation for a raid on the French Coasts. It then embarked on the fleet and took part to the expedition from June 1 to July 1. It also participated in a second expedition on the French Coast from August to September of the same year. On August 7, this battalion landed in the Bay of Saint-Marais near Cherbourg and gained possession of the rising ground in front of its position. On September 11, after the failed attempt against Saint-Malo, it suffered heavy losses during the re-embarkment at Saint-Cast. As of May 30 1759, the regiment was stationed in England and counted 2 battalions for a total of 1,260 men. In the Summer of 1760, the 2nd Battalion was sent to Germany to reinforce the Allied Army of Ferdinand of Brunswick. On August 25, it arrived at Ferdinand's headquarters near Bühne. It was immediately integrated into Ferdinand's Reserve deployed along the Diemel. In 1761, the 2nd Battalion was part of Conway's Corps in Germany. On July 16, it took part in the Battle of Vellinghausen. 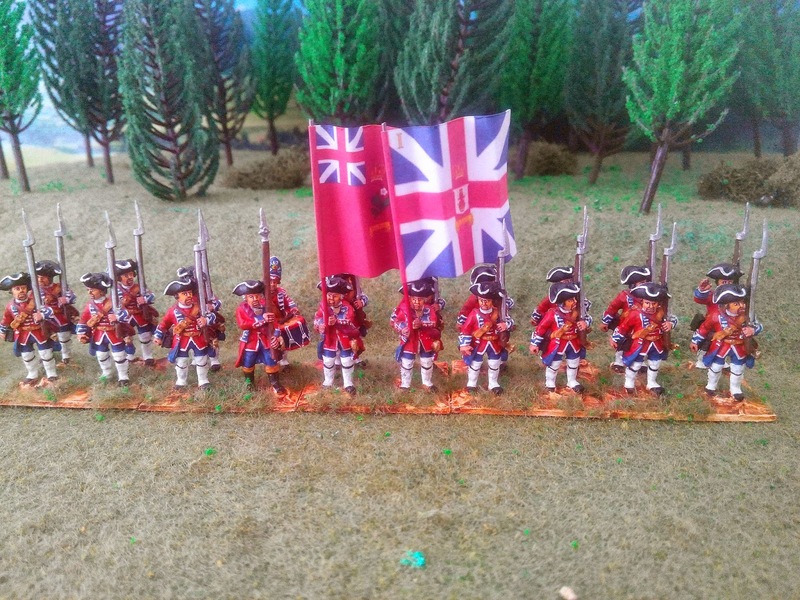 In 1762, the 2nd Battalion was part of Granby's Corps in Germany. On June 24, it took part in the Battle of Wilhelmsthal. The corps fought stubbornly against the flower of the French infantry until Ferdinand managed to turn the rear of the French position with additional troops. A French corps was nearly annihilated. On September 21, the battalion took part in the Combat of Amöneburg. 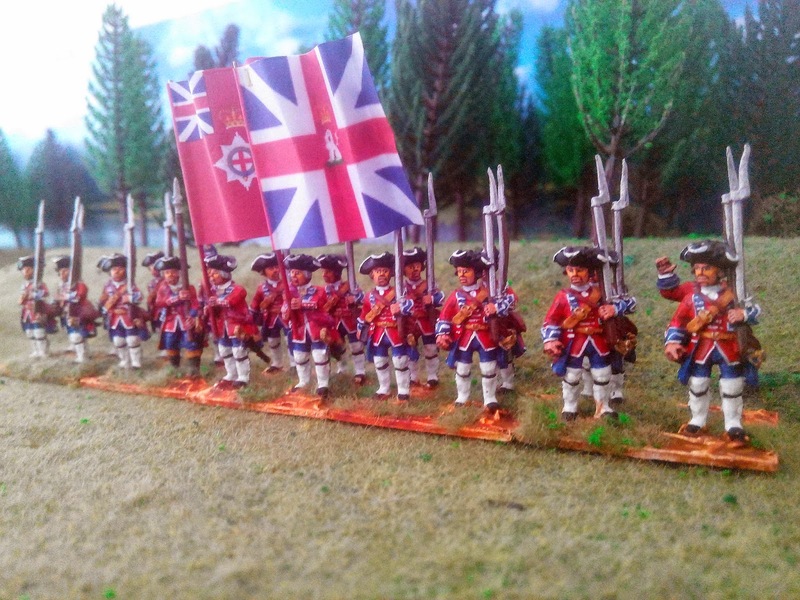 Late in the afternoon, the British Corps came to the relief of the Hanoverians guarding the bridge and repulsed several French attacks, saving the day for the Allies. The battalion suffered more heavily than any other unit engaged.